Meridian Hive depends on bees, so do you. Bee populations have been on the decline for the last several years. This has adversely impacted their pollination efforts and created a hardship on the global agricultural system. Meridian Hive owners and employees are passionate about Bees! Not only are they a major force in the food production process; without them, we’d have no honey to make mead. We started the ‘Bee Conscious ™‘ campaign to share that passion and spread the word…We depend on bees, and so do you! Bee Conscious ™ and be a part of the solution to the ongoing bee health problem. Learn more about bee health, participate in the conversation and find ways you can help the bees. We are developing partnerships with leading local and national bee health institutions and charities and to drive awareness and share information to as many people as possible. We’ll be sharing information on upcoming events and educational opportunities to learn more about the vital role that bees play in our lives and the major issues they are currently facing. We have all heard of Colony Collapse Disorder (CCD) the phenomenon that occurs when many worker bees in a colony disappear and leave behind a queen. While such disappearances have occurred sporadically throughout the history of apiculture, the syndrome was renamed CCD in late 2006 in conjunction with a drastic rise in the number of disappearances of western honey bee colonies in North America. If CCD continues at its current rate, managed honey bees could disappear as early as 2035. In September 2018, University of Texas researchers found that a popular weed killer is a major contributing factor to CCD. Honeybees exposed to glyphosate, the active ingredient in Roundup, lose some of the beneficial bacteria in their guts. That makes them more susceptible to infection and death. 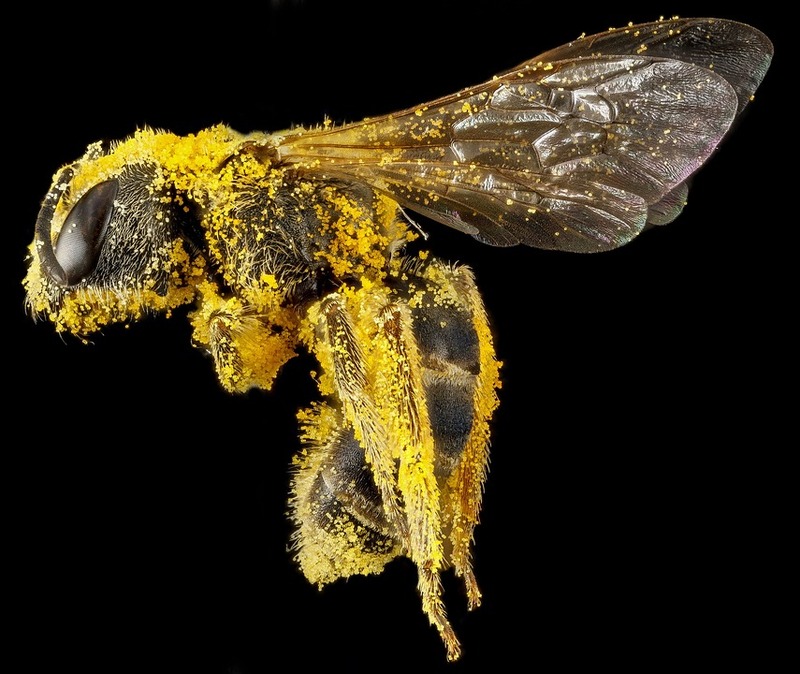 The bees pick up the chemicals through dust and residue on nectar and pollen. They bring the poison back to the hive. That weakens their immune system. As a result, they are more susceptible to parasites. CCD causes significant economic losses because many agricultural crops worldwide are pollinated by western honey bees. Life without bees, why should we care? There are over 4,000 species of wild bees in North America, most of those bees are pollinators, which means they help plants to reproduce. These plants are the fruits and the veggies we eat every day. From apples to strawberries, from coffee to chocolate, from almonds to tomatoes. All those plants need the bees to do their thing. Sign up for our newsletter below to get updates. Follow us on social media to join the conversation and learn about bee health issues and find out about any upcoming events. Read below for a few ways we can all ‘Bee Conscious ™’ and they aren’t that difficult to do.